After a successful career preparing others for retirement, Riley Moynes made the plunge himself in his early 60s, retiring to a golf community in Florida. The financial side of retirement was not a problem: in 1988 he had founded a financial planning firm, Moynes Securities Ltd. that merged with Equion Securities Ltd. and was ultimately sold to Assante Wealth Management, bought by C.I. Investments at the turn of the century. But after a few years of experiencing what he calls “Vacation Time,” Moynes felt compelled to move on to the next phase of the rest of his life. He “retired” from active involvement in his business on Jan. 1, 2006 and enjoyed his leisure for roughly five years. Ultimately, however, he concluded that “Vacation Time” was merely the first of four distinct phases of retirement, which he summarizes in a concise little book titled just that: The Four Phases of Retirement, subtitled (with a nod to the perennial bestseller on pregnancy) What to Expect When You’re Retiring. READ: What’s your retirement personality? 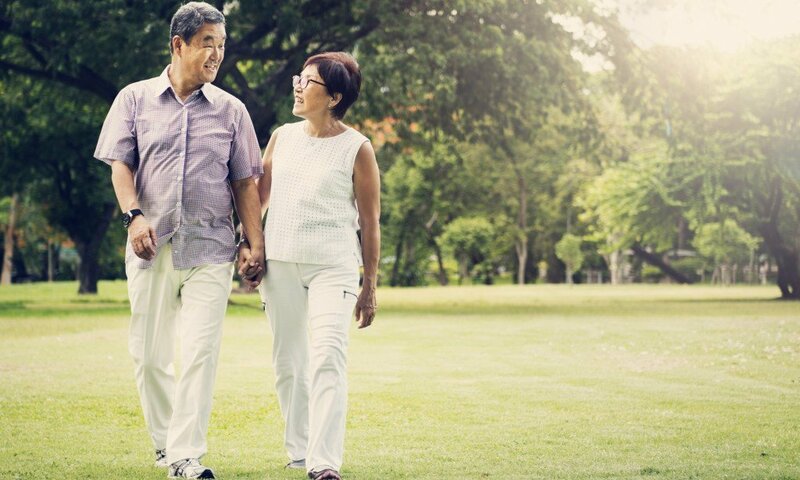 At first, recent retirees revel in their newfound freedom from the shackles of employment or owning their own businesses, indulging in the lack of deadline pressure and adapting their schedules to the needs of others. For those who have never experienced more than two or three weeks of annual vacation, Phase One typically involves extended travel, the chance to indulge in hobbies, spend more time with the family and one’s spouse if applicable. Indeed, some retirees never get past Stage One but for many, including Moynes himself, Vacation Time starts to pale after a few years (five in Moynes’ case). Gradually, Stage Two descends, which Moynes colourfully dubs as a “plunge into the abyss of insignificance.” This “drop from the top” can be one of the top ten traumas human being faces in their lives, Moynes writes. Phase Two brings home the reality of five “unavoidable losses”: structure, identify, relationships, a sense of purpose and a sense of power. For him, Stage Two lasted about a year, and it was loss of structure and a sense of purpose that he felt most acutely. This hit home the week I read the book because we had a house guest named Caroline, who retired at age 60 to travel the world. Two years later, she’s still very much in Vacation Mode: she visited us between trips to Australia and Africa. It being a short read, I lent her my copy of Moyne’s book and asked what she thought. She admitted that while she still had the travel bug, she was starting to come to terms with the symptoms described in Stage Two. So what’s Stage Three? Moynes experienced this first hand between 2012 and 2013 when he plunged into several activities and ventures that were his personal response to the losses of Stage Two. He calls Stage Three “Trial & Error.” He and those who reach that stage realize the sands of time are starting to slip rapidly through the hourglass of their lives: if you are to accomplish anything with what time remains, it had better be soon. The dominant question here is “How can I contribute?” You tentatively start a few ventures and eventually commit to one but are prepared to go back to the drawing board if it doesn’t work out. If it does, you may reach the fourth and final stage of retirement, which Moynes dubs “Reinvent and Repurpose.” Moynes turns 74 in June but reinvented himself in 2014 as a self-published author and speaker, two activities that were always his strengths. Not everyone reaches this stage, Moynes said in an email interview; indeed if the experiments of Phase Three come to naught, sometimes the response is disappointment or depression and some may actually “regress” back to Phase Three, indulging themselves again in travel or the pursuit of whatever pleasures they enjoy. Nothing wrong with that; after all, anyone who has established enough financial independence to retire has earned the right to do what they want with what time remains to them on this planet. But if you do yearn to leave a legacy, Phase Four is the place to do it, as you ask yourself three questions designed to identify your own unique ability: What do you absolutely love to do? What do you do very well? And what attributes or skills have led to success in the past? After she read the book (at 56 pages it’s a quick read) I invited Caroline to email a few questions to Moynes, who was still in Mexico at the height of the Canadian winter. She wanted to know what percentage of the people in Phase Four found maximum fulfillment in giving back. This prompted me to ask what percentage of retirees get “stuck” in Phase One and are happy to spend the rest of their lifetimes in permanent vacation mode. Certainly I know some Boomer retirees who retired at 55 and are still in this mode a decade later. As the book notes, people often do “plateau” (or “get stuck”) at any of the phases and some even slide back to Phase One. But “the toughest to watch is those who remain in or slide back into Phase Two,” Moynes told us. Moynes now gives workshops on Retirement (see www.thefourphases.com) and also published a companion book in 2017 titled The Ten Lessons: How you Too Can Squeeze All the “Juice” Out of Retirement (see www.thetenlessons.com). Jonathan Chevreau is founder of the Financial Independence Hub and author of Findependence Day. He can be reached at [email protected].